During the Classic period of the Mayan civilisation, women started having a more prominent political and social role in the Mayan society. According to extant Mayan sources, a number of women rose to the position of queen in this period. This was an extraordinary development since the traditional position of the women in the Mayan society was limited to the household. At least five women became queens in different Mayan cities during the Classic Period, essentially rising to the highest station of power and influence. Some of them ruled on their own, without the company of a male heir. In the early phases of the Mayan society, women had no role in the political offices. Women of the commoner as well as the noble class were limited to households. This changed when the later part of the Classic period brought political instability to the Mayan civilisation. 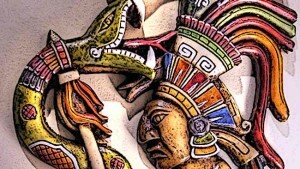 As a result, Mayans began using the institution of marriage as a tool of forging alliances. This gave power to women who became involved in the ruling apparatus as a result of such political marriages. The development led them to become a part of both political and religious offices. During the Classic period of the Mayan civilisation, women started having a more prominent political and social role in the Mayan society. During the Classic period, at least five Mayan women became queens as per the verified historical data of the Mayans. Of these five, some because queens because no male heir of the royal family was present to take control of the throne. Such queens ruled without any male partner, effectively embodying the highly political and religious power in their person. Other queens ruled because their sons were too young to rule, and so they took over as interim rulers. The five queens who ascended the Mayan thrones in this way included Lady Six Sky of Naranjo, Lady of Tikal, Lady Eveningstar of Yaxchilan, Lady Yohl Iknal and Palenque’s Muwaan Mat. Lady Tikal because the queen of the famous Mayan city of Tikal during the second decade of the 6th century. She became queen at the age of six and ruled with another individual named Kaloomte, although it is unclear whether or not she had a personal relationship with this individual. In the extant evidence from the city of Tikal, Lady Tikal is mentioned on a number of stelas. The stelas also mention one “Bird Claw” in association with her and some researchers believe that this individual indicates her successor. However, no other evidence supports this theory. Lady Yohl Iknal was a queen of Palenque. She rose to the throne in late 6th century after the 7th ruler of the city, Kan Bahlam I, died and left no male heir behind him. Consequently, Yohl Iknal was hailed as the next ruler and queen of the city. Although historical sources leave it unclear as to what was her exact relationship with Kan Bahlam I, it has been surmised that she was either his sister or daughter. She was one of the most long-reigning Mayan queens, ruling for 20 years. Unlike many other Mayan queens, she also carried full royal privileges and titles which makes her among the most powerful queens in the Mayan Classic period. Muwaan Mat was a Mayan queen who is also named Lady Beastie in different Mayan sources. She ascended to the throne of Palenque in 612 and remained the ruler until 615. She was the daughter of Janahb Pakal. Since Pakal had no male heirs, Muwaan Mat became his successor as his daughter. Very little original information regarding her exists among extant Mayan sources. The sources do mention that she reigned for a brief period because soon her son K’inich Janaab Pakal I reached the age of maturity and so, he replaced her as the ruler of the city. There is some evidence that she continued to be politically influential by practicing and wielding considerable power over her son. Lady Six Sky was the longest reigning of all Mayan queens. She carried immense power and wielded supreme political authority in Naranjo. Lady Six Sky essentially established a new dynasty in Naranjo when she arrived in the city. Her reign began in 682 and continued until her death in 741. During this long reign, she commissioned the construction of many monumental structures. She also had her depicted in different stelas. In one of these stelas, Lady Six Sky is depicted as a fierce warrior-king, which shows that she also had military authority in Naranjo. According to available evidence, she also assumed religious authority after establishing her power in Naranjo and overlooked the important calendric rituals in the city. Upon her death, she was succeeded by her son Kahk Tiliw Chan Chaak. Lady Ik Skull is a rather mysterious figure in Mayan history. She was one of the wives of the Mayan ruler of Yaxchilan, Itzamnaaj Bahlam III. Bahlam III had three wives and Lady Ik Skull was one of them, although not a primary wife. Extant historical evidence reveals that ten years after Bahlam III died, the son of Lady Ik Skull became the ruler of the city. This was unusual since Ik Skull was not the primary wife of the deceased ruler. Based on this, historical scholars believe that the primary heir of the deceased king probably died in a conflict, leaving Lady Ik Skull as regent on the throne of Yaxchilan. Later when her son reached the age of maturity, he replaced her as the ruler. Women didn’t enjoy many social and political rights during the early period of the Mayan civilisation. This changed at the end of the Classic period when political marriage enabled women to enjoy significant political power and influence. During this period, at least five Mayan women became supreme rulers in different cities and assumed the role of queens. Some of them became queens in the absence of male heirs, others served in the role of regents until male heirs came of age. At least one, namely Lady Six Sky, ruled without either of these conditions and established a dynasty of her own. She was also the most powerful of the five Mayan queens.